We know that there has been a church in Downham since the mid thirteenth century and it is likely that Christians have worshipped on this site for over a thousand years. The church is dedicated to St Margaret of Antioch - slayer of dragons and patron saint of child bearing. Devotion to this lady became popular between 1200 and 1300 and there are some 80 churches sharing our dedication from this period. 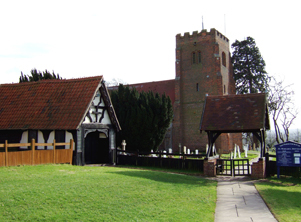 The oldest part of the present building is the redbrick tower that dates from around 1470. 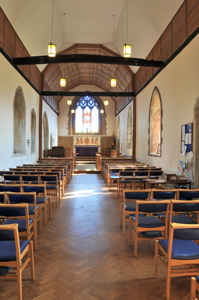 The main part of the church, the nave, was rebuilt in the nineteenth century using much of the material from the thirteenth century building. In March 1977 the building was gutted by fire following an arson attack therefore you may be surprised when you enter the building for the first time to find a bright, modern interior with comfortable chairs.